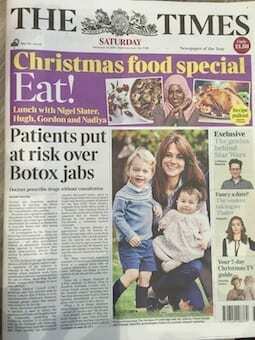 The front page of The Times newspaper on Saturday carried the headline “Patients put at risk over Botox jabs”. Referring to the increasing practice of doctors handing out Botox prescriptions without having face to face consultations with patients. Botulinum Toxin Type A is the well known wrinkle reducing treatment and is a prescription medication. 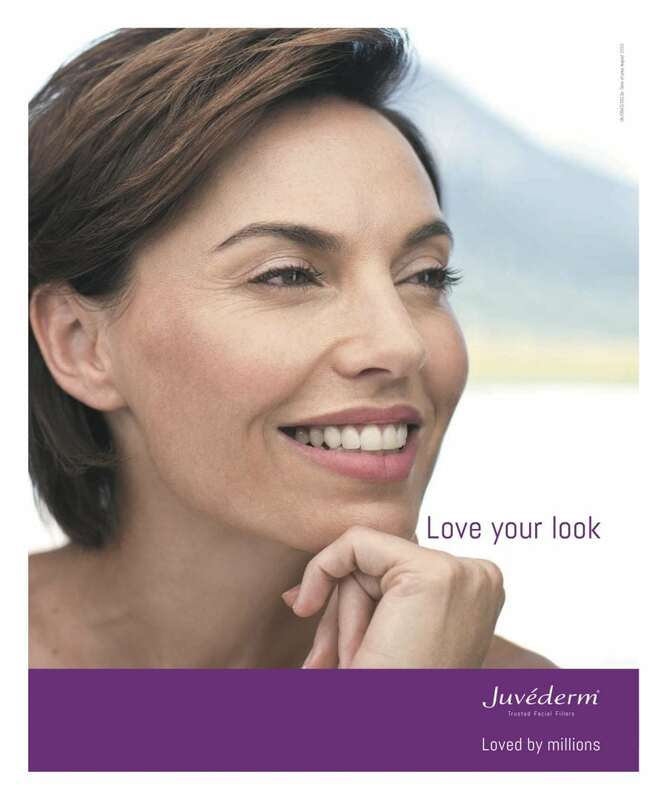 It is commonly referred to as BOTOX®, which is actually a brand name supplied by Allergan, a pharmaceutical company. This product has been on the market for over 25 years and was originally approved by the FDA as a medical treatment for a number of muscular conditions. In 2013 Sir Bruce Keogh, the medical director of NHS England, published a report urging far tighter regulation of the industry and a clamp down on rogue practitioners. This was also generated in the wake of the PIP breast implant scandal, where over 40,000 British women were thought to have been affected by implants being made from unauthorised silicone which burst twice as quickly as others. Who should carry out my injectable procedures? Only a registered doctor, nurse or dentist is suitably medically qualified to administer botulinum toxin and dermal fillers. Whilst side effects are rare, only the above practitioners have the appropriate training in facial anatomy, pharmacology as well as the management of complications. According to the NHS Choices website, a beautician is not medically trained and lacks the necessary clinical background and experience to carry out cosmetic injectable treatments: “They shouldn’t be carried out by beauty therapists who lack the necessary clinical background.” (ref: NHS Choices website). Carefully research your practitioner and be aware of people calling themselves “experts” after completing a weekend diploma course. What medical and professional injectable training do they have? Are they registered with either the General Medical Council (GMC), Nursing & Midwifery Council (NMC) or the General Dental Council (GDC)? Where do they source their botulinum toxin from? Do they have appropriate insurance? How many procedures have they carried out? Ask them what complications can occur? How do they manage complications? At S-Thetics we use the market-leading brand of muscle-relaxing injections, BOTOX®. This product has been on the market for over 25 years and was originally approved by the FDA as a medical treatment for a number of muscular conditions. Over this time, it has been extensively studied with more than 65 clinical trials involving 15,000 people, making it one of the most reliable, effective and safe products on the market. Miss Balaratnam is one of the top UK experts in using muscle-relaxing injections for facial rejuvenation, carrying out more than 5,000 procedures to date and acting as a UK ambassador to train other doctors in these advanced techniques. Prior to her current focus of aesthetic medicine, Miss Balaratnam’s 14-year surgical career encompassed a broad range of clinical specialties. During this time she trained in plastic surgery for 7 years mainly covering reconstructive burn surgery and skin cancer reconstruction. 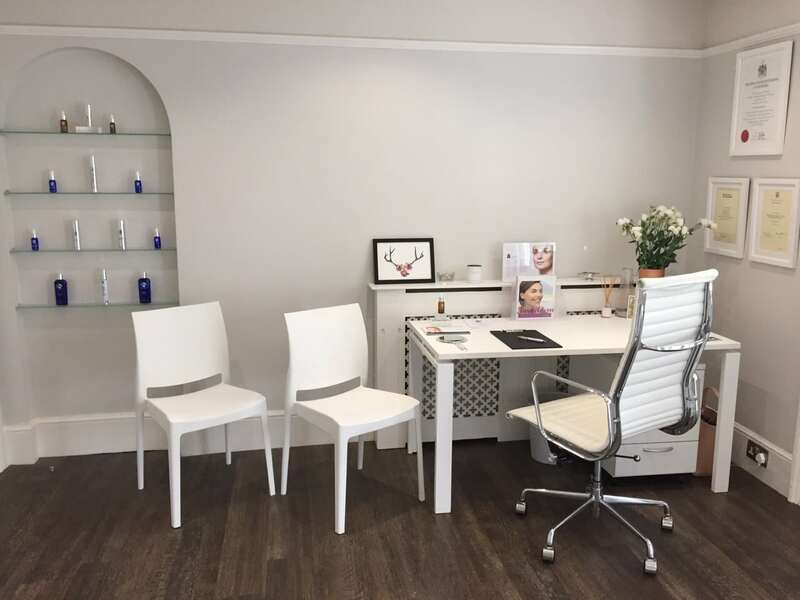 This led her to develop an interest in scar management and an ideal aesthetic outcome, which resonates in her work in aesthetic medicine today.